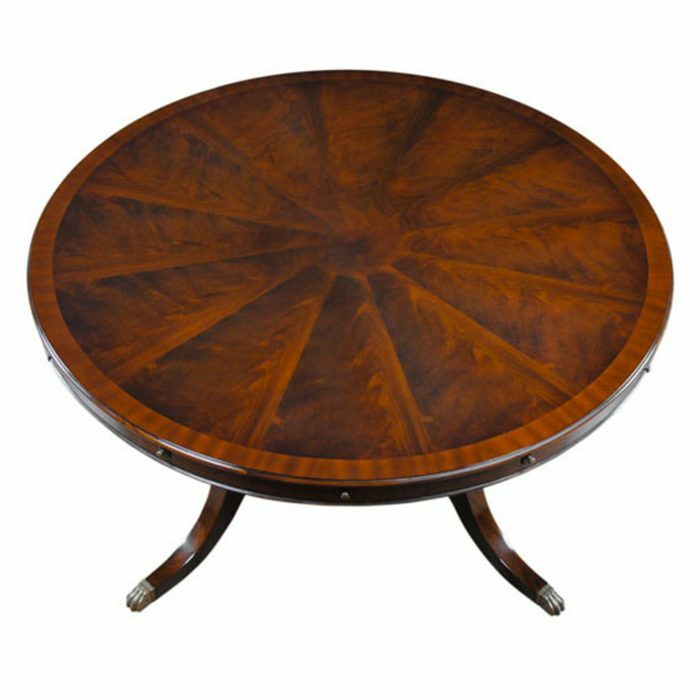 This is the Niagara Furniture version of the popular sized 54″-90″ Round Mahogany Table. 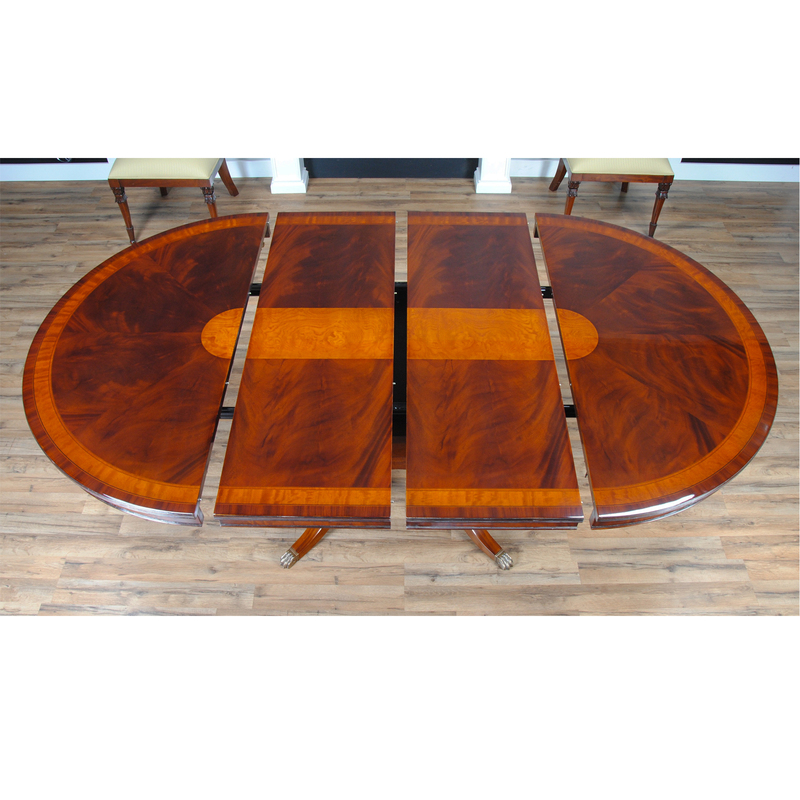 When closed the table is 54″ round making it suitable for smaller, intimate dinner parties. 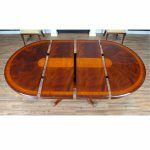 With the two leaves are put in place the table opens to a maximum length of 90″ and seating for as many as eight persons. 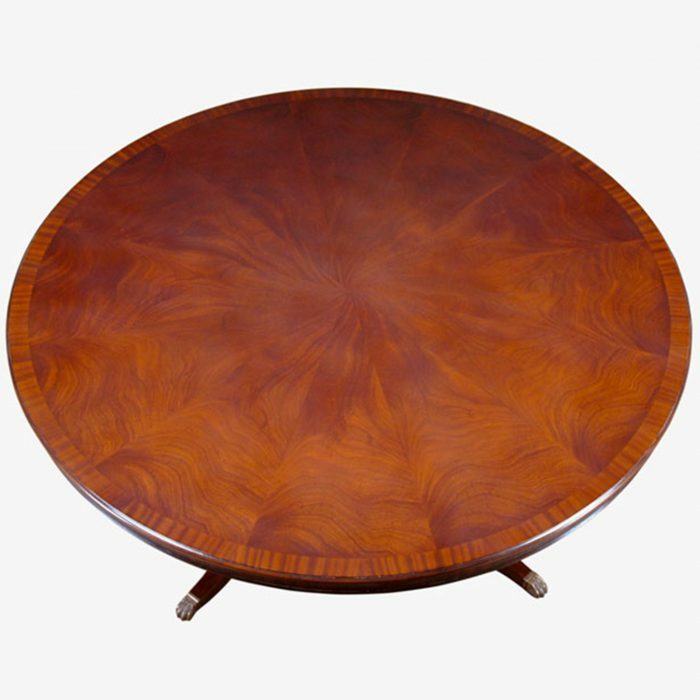 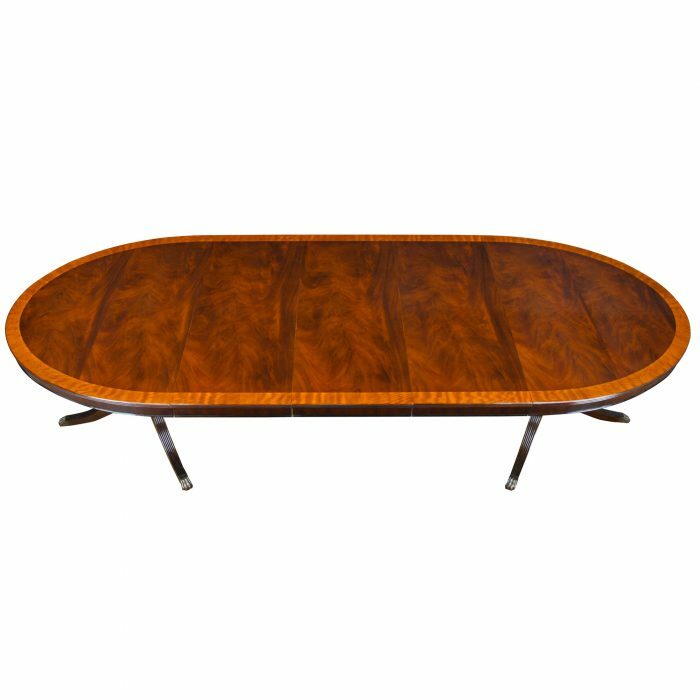 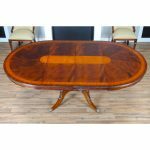 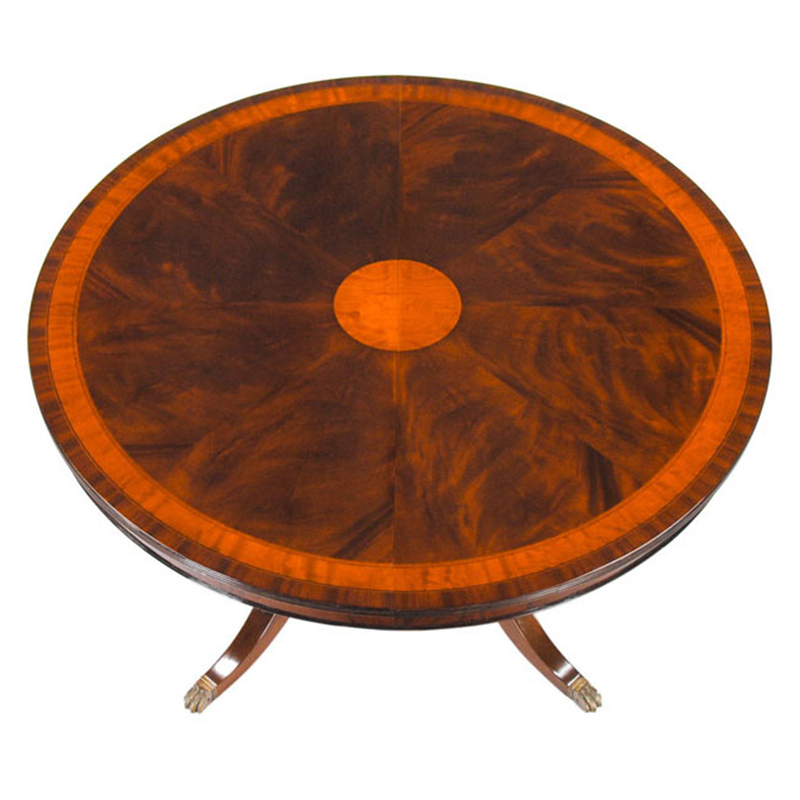 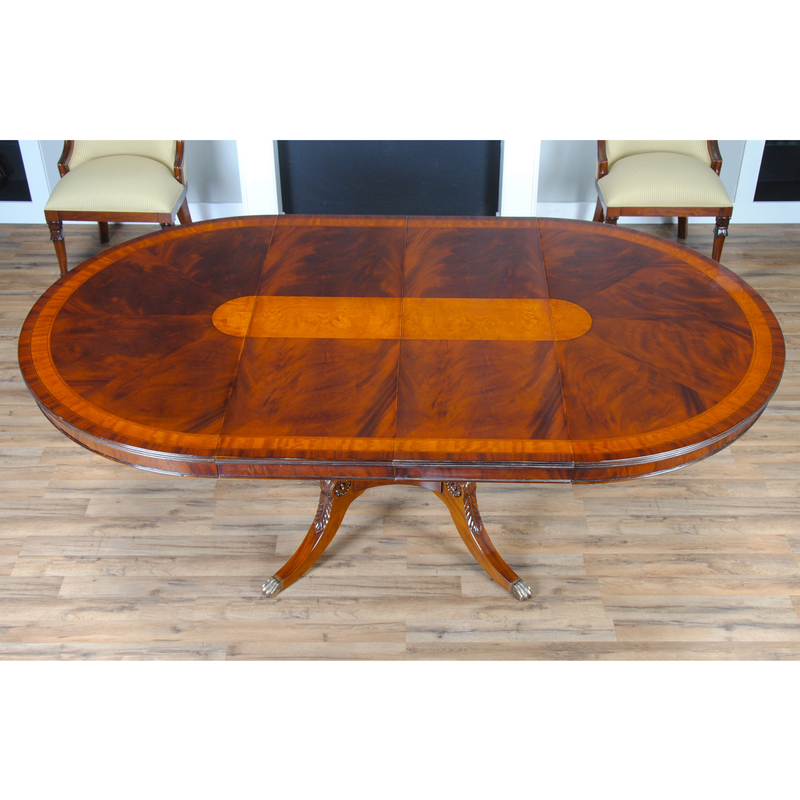 54″-90″ Round Mahogany Table is banded with satinwood and rosewood and the field of the table is made from fine quality mahogany veneers. 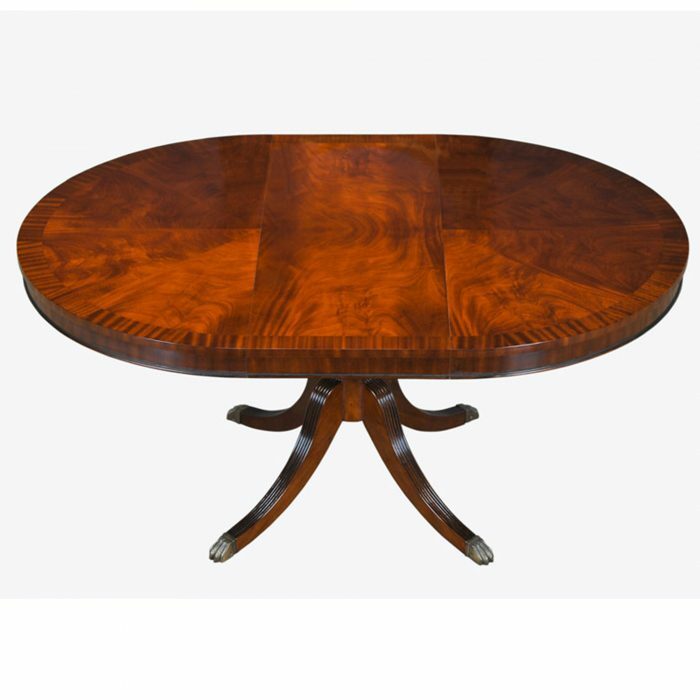 The round center medallion shown in the table when closed opens to an oval shaped design when the two leaves are in place. 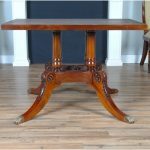 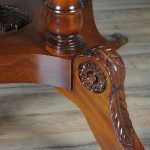 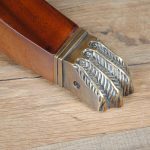 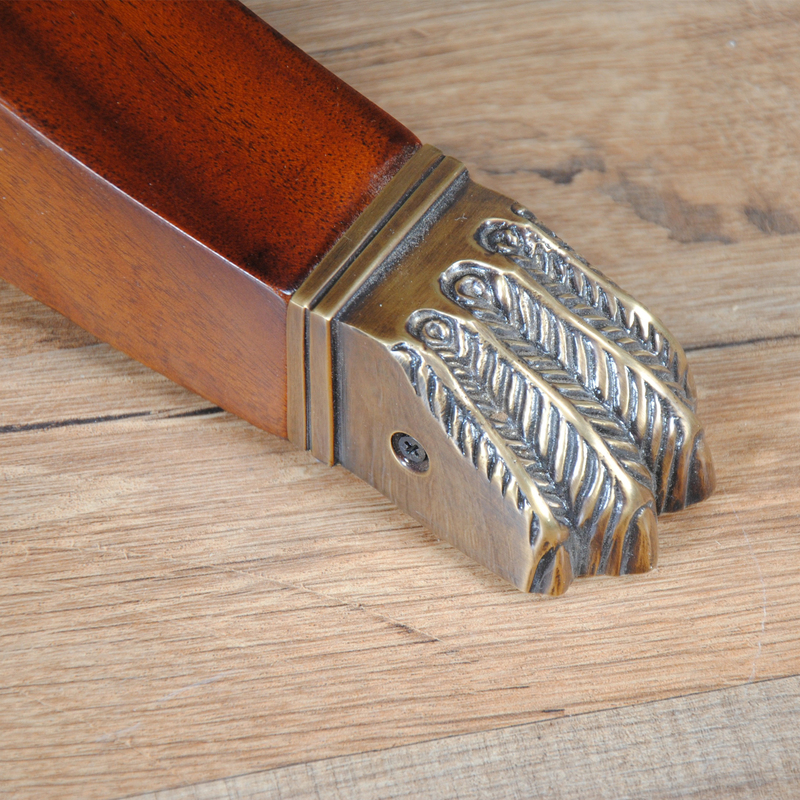 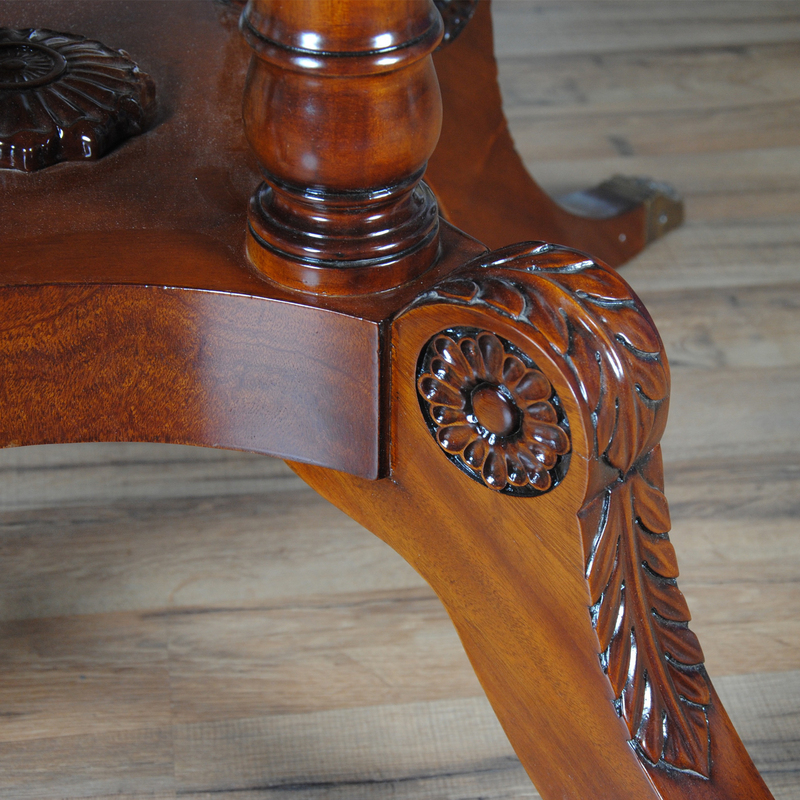 A hand carved solid mahogany pedestal supports this table and keeps it sitting steady when the leaves are in use. 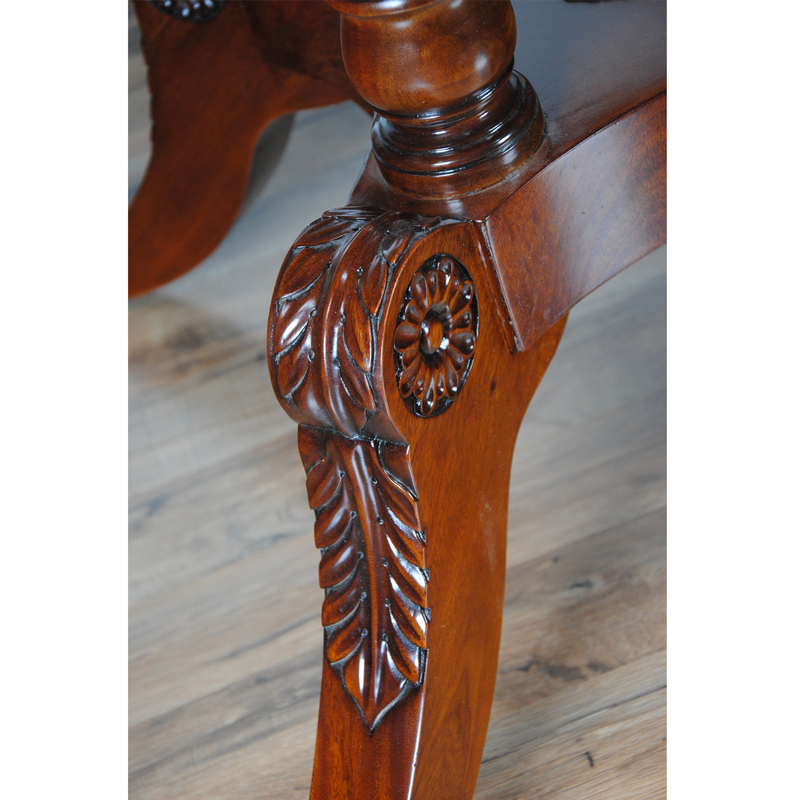 American made table rails hold it all together.